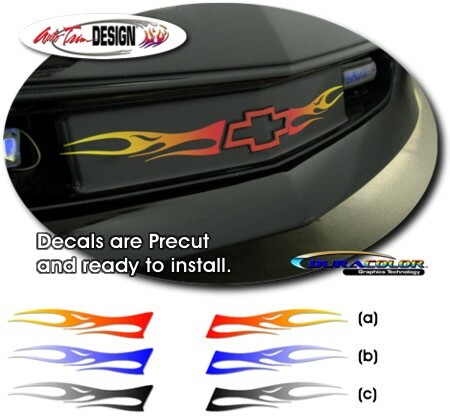 Dress up your '93-'97 Chevrolet Camaro's front bumper area with these awesome looking flame decals that uniquely fit at each side of the factory Bowtie as shown in the picture. \Decal set is precut and ready to install with no trimming required. Flames are available in three (3) different color schemes as shown. They make the car look Terrific!